Who Will Stand on His Head for Her? What can I say in your honor, Jerusalem, that hasn’t already been said? Everyone wants to crown you and say “she’s mine”, or “I was here first.” Is there a place left on your head for me to set some crowns of my own? A Head Stand or a Nod? The following story never ceases to amaze me. As 1949 was coming to an end, the UN assembly voted on turning Jerusalem into an international city. At that point Jerusalem was divided between 1-year old Israel, and Jordan. On December 5th 1949, the Israeli Minister of Foreign Affairs called from New York to notify Prime Minister Ben Gurion that the vote may pass in favor of the resolution. Apparently, the UN vote had many supporters. Israel suggested international governing only upon the sacred places, not all over the city. An Israeli delegation was sent urgently to the UN, in an attempt to garner support from foreign ambassadors. To no avail. The delegation sent a telegram to Ben Gurion, notifying him that “our suggestion in regards to Jerusalem has a chance of receiving one vote only – Israel’s”. 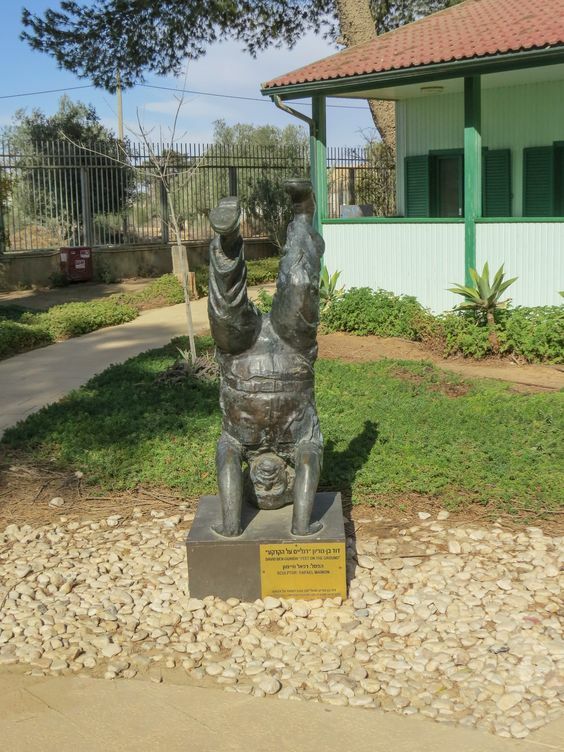 At that moment, the Old Man (that’s what everyone called Ben Gurion) was sitting in his office, reading the OT. His personal assistant read the telegram to him, stressing that “Israel’s vote is the only one guaranteed to support our resolution”. 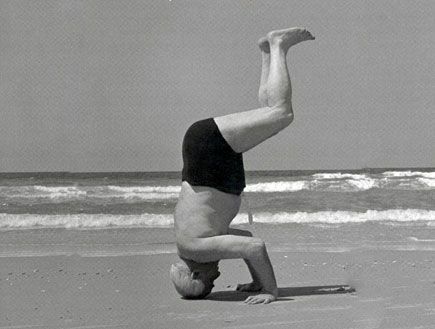 David Ben Gurion loved to stand on his head. Every day. He than asked his secretary to send a response, stating, “In my opinion, that one vote is enough”. Four days later, on December 9th, the voting was held at the UN: 38 voted for internationalization of Jerusalem, 14 against, 7 abstained. This placed Israel between a rock and a hard place. If we did not respond, it will be interpreted as acceptance of the UN resolution. 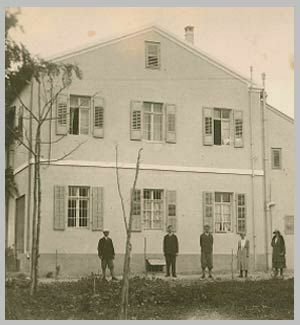 The following morning Ben Gurion arrived at the cabinet meeting, which was seated back than in Tel Aviv, and proposed to move all the government offices to Jerusalem. Immediately! The assembly turned into a tumultuous argument. Many ministers supported Ben Gurion, but there were those who hesitated. The Minister of Foreign Affairs, who was still in NY, sent another telegram. This one was to notify of his resignation, as he disagreed with the proposal to move the government offices to Jerusalem. Ben Gurion replied that he does not accept the resignation. The Old man obviously enjoyed being obstinate and standing on his head. depicting this perpetual state he chose to live his life in. Four more days passed. On December 13, at 5 pm, Ben Gurion addressed the Knesset, the Israeli cabinet. He reminded everyone that the Tel Aviv location was temporary, and suited them only because Jerusalem has been under siege during the War of Independence. The world responded in anger. France condemned Israel. The Vatican was enraged. Catholic countries protested bitterly. But that was it. That’s all that happened. Nothing besides some negative statements and feelings. Several days later trucks laden with office furniture, official documents and supplies begun moving the Israeli government into Jerusalem. The UN’s plan of internationalizing Jerusalem did not come to fruition. The western part of the city became the capital of Israel. During the Six-Day War the Israeli Defense Forces captured East Jerusalem, and in 1980 the Knesset signed a law asserting that the complete and unified Jerusalem is the capital of Israel. In Psalm 122 the psalmist invites those who love Jerusalem to “Pray for the peace of Jerusalem”. The word translated as “pray” – Sha’alu – is actually a mistranslation. The psalmist is not calling his readers to pray that there will be peace in Jerusalem, as if it were some mantra to be pronounced daily as part of a list of things to pray for. The word “Sha’alu” requires the reader to take interest in Jerusalem’s well-being, inquire as to it, or lack thereof, and examine why there is no peace there, so that we can pray accordingly. That same saying appears in Jeremiah 15:5, where it is translated more accurately. So How is Jerusalem Doing? Right now it’s pretty backed up, congested. Trump came for a historical visit, the implications of which will only be clear in the days to come, and turned moving around in this cramped and narrow city to almost impossible. Festivals and special events take place all over the city for the 50 years’ celebration. It is packed with tourists, with those who love her, as well as those who seek to harm her. The status of Jerusalem will be challenged again soon, along with the other borders of Israel. Will our present leaders be able to stand on their heads, put their fingers on the right Bible page, and against all odds, against all public opinion, follow that One Voice that truly matters? Your prayers, your support, your stand in the gap, can make a difference here. Your article appears to have special timing for me. Just last night a few friends of mine (lovers of Israel) went to see the special showing of the Movie, “In Our Hands”, a documentary and re-enactment of the Six Day War, that was produced & promoted by the 700 Club. Which I found to be very realistic, and richly promoted, at least here in the U.S. I always appreciate your teaching. God bless! Very informative account of how Ben Gurion outwitted the nations Or should we say God. Interesting days to be living in. Praying God will turn the hearts of the leaders even if just one. All glory to our Father. Yes, Lord, Your will be done on earth as it is in Heaven….